That sitting area pictured above is at one of the swimming pools at Montage Los Cabos, one of the newest luxury resorts to open in the corridor between the two anchor cities of the region. There’s another pool with lounge chairs and daybeds below that, then a lovely crescent beach in a small bay that’s a rarity in these parts. You can actually walk right in from shore and go for a swim. No red beach flags or giant crashing waves. Opened in 2018, this is the first Mexican location for Montage, a small chain best known for its properties in upscale spots like Beverly Hills, Sonoma, and Deer Valley. With attentive service and a long list of luxury touches, the company scores well on “best hotels” lists from magazines and is rated highly by picky moneyed leisure travelers. This Los Cabos Montage resort cascades in terraces down a hillside, though most rooms are set back a good distance from the sea, with another mountain on the left side between buildings and the water. Then on the other side is a residential development (with some units in the rental pool) plus the Two Dolphins golf course designed by Fred Couples. The smallest rooms here are more than double those of an average hotel, coming in at 895 square feet. They’re loaded with luxe amenities, have lounging furniture inside and out, and won’t leave you crawling around on your knees to find an electrical outlet. There’s a full spacious spa here with a wide range of treatments, plus the complex has its own adults-only pool with more shade than those spilling down to the beach. There’s one sticking point to this resort that may or not bother you, depending on the amount of cash flowing through your bank account. 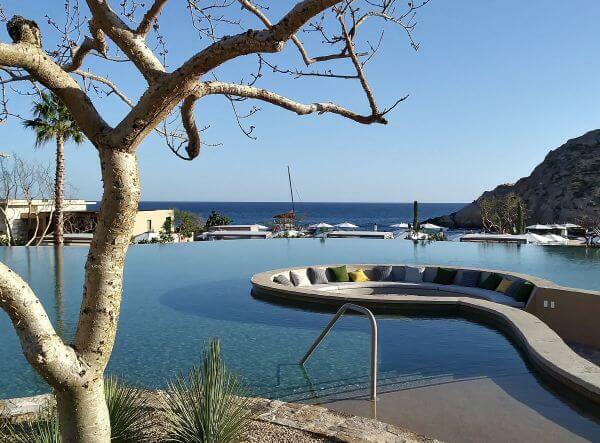 This resort is at the top of the Los Cabos price range, which is already lofty compared to California, much less Mexico. “Those prices are more than I pay at a fancy place in my home country,” said a Swedish friend when I sent a link to the lunch menu here. Expect to pay $9 to $25 for a drink here, $50-$100 per person for each meal. Then add 31% for taxes and a mandatory service charge. 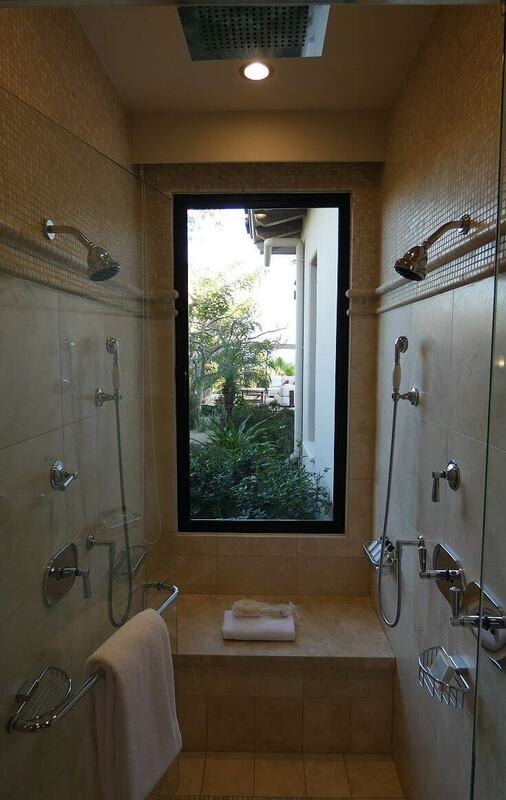 Same for the rooms, which start at $750++, and facials in the spa that start at $288. ﻿ This new Montage Los Cabos is clearly aimed at the, “If you have to ask, you can’t afford it” crowd. If you’re not scared by the 5-figure vacation tab, this is probably a selling point, not a negative. Apart from when you venture down to the beach, which is public as all beaches are in Mexico, you won’t be rubbing shoulders with anyone who is not in the same lofty strata economically. Montage aims to be a destination for celebrities, the captains of industry, and those who have banked millions in their careers. If that’s you, this resort is going to feel like your fourth home. You will be treated like a VIP in every encounter and it will be difficult to find fault with the quality of the experience. See our detailed review of Montage Los Cabos in the tourist corridor at the bottom of the Baja Peninsula in Mexico.